Yes, i love to cook Chinese recipes. Especially Indo Chinese chicken recipes. For all chicken lovers, here is a surefire way to please your loved ones or guests. Chicken machurian gravy along with hot fried rice is a finger licking combo that everyones craves. 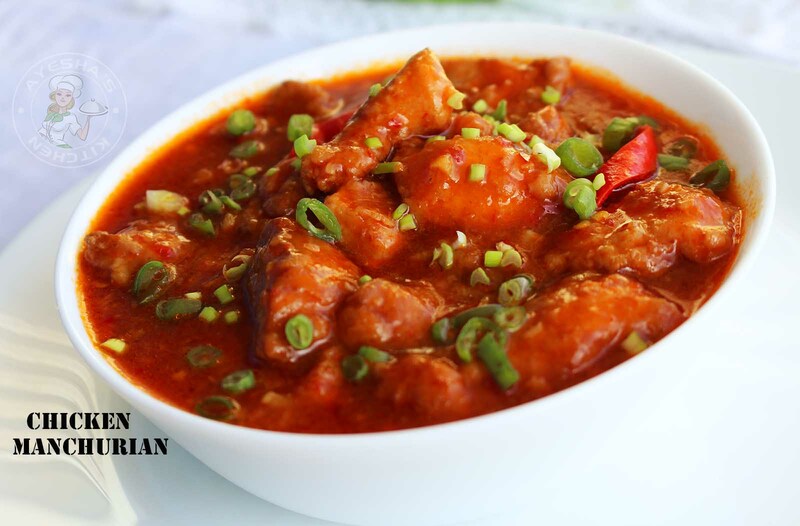 This recipe for chinese chicken manjurian is pretty simple to make. No doubt that, this scrumptious chicken recipe will be on the top of Indian and Chinese restaurant menu. 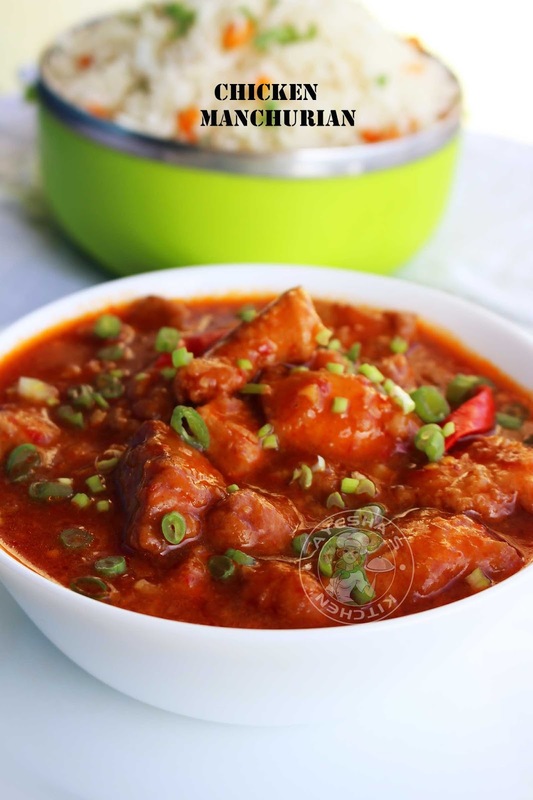 Deep fried boneless chicken cubes in a fiery, sweet and tangy gravy helps to balance the flavors. 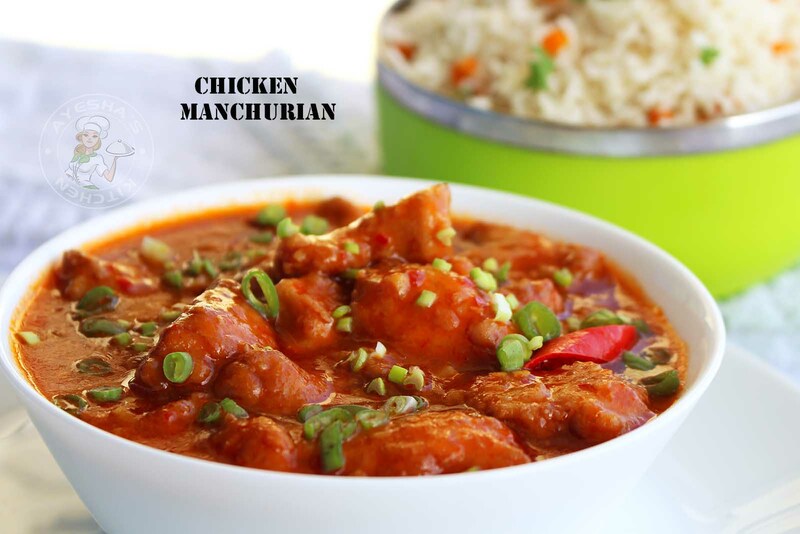 Lets move on to the recipe showing how to make chicken manchurian restaurant style. Need a great party starter ?? 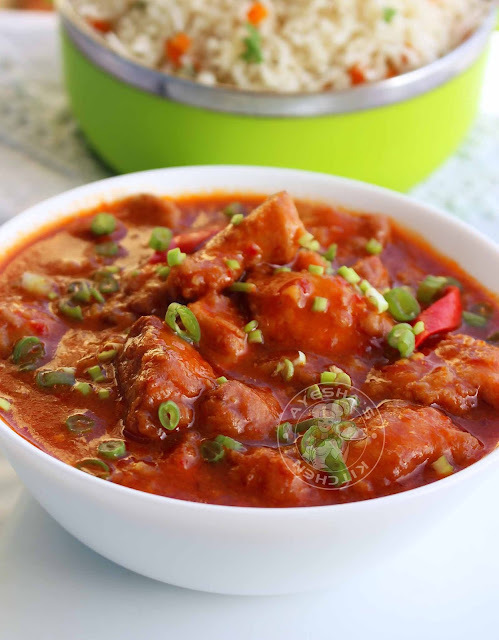 Here is yet another family favorite chicken gravy to enjoy the weekends with. Do try this chicken manchurian dry version. So enjoy this simple chicken recipe. Make small bite-sized chicken cubes (boneless preferred) and wash well. Drain it. Now marinate this chicken cube with all the ingredients given under for chicken marination and set aside. Heat a nonstick pan ( i prefer nonstick pan) and add oil for deep frying. Now fry this marinated chicken until golden and crisp. Fry in batches. Do not overcrowd. Once done, transfer it to a paper towel and set aside. Meanwhile, prepare the sauce. For this, combine all the ingredients given under ' for the sauce ' in a bowl. Mix them well along with a teaspoon of water and make a smooth sauce. Set aside. Now start preparing the gravy. Heat a pan with oil. Saute garlic chopped over a medium flame for a while. To this, add chopped chilies and saute well. Then add the prepared sauce mixture and chicken cube. Mix well along with half a cup of water . Check for salt and cook until the sauce thickens. Then add the fried chicken to the sauce gravy and combine the chicken pieces well in the sauce gravy. Cook over a medium flame for 3 minutes. Then add the cornflour mixed water and mix well. When the gravy starts to thicken, remove from flame. Garnish with spring onions chopped and preferably serve immediately. It may slightly thicken once it cools down. If so, add half a cup of hot water (if more gravy required ) before serving. Best along with veg fried rice or butter nan. Watch the related video here.